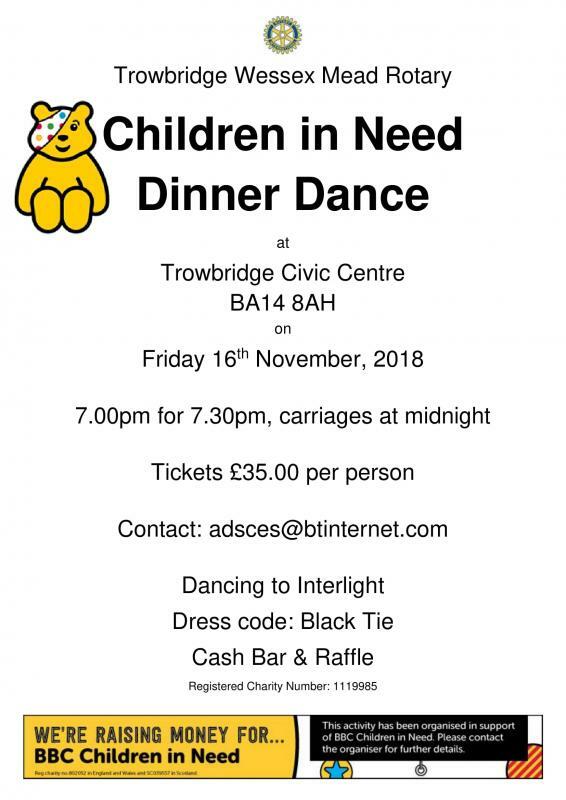 Have a great evening out and support the BBC Children in Need Appeal on Friday 16th November 2018 at the Civic Centre, St Stephen's Place, Trowbridge, BA14 8AH. Enjoy a 3-course dinner and live music from the excellent Swindon based band Interlight. Cost £35 per person. Advance booking only, no ticket sales on the door. Contact Caroline by email: adsces@btinternet.com for booking form & menu choice.